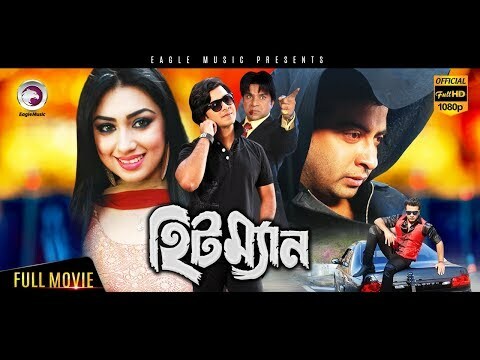 "Hitman" is an 2014 Dhallywood film directed by Wazed Ali Sumon, starring "Shakib Khan" and "Apu Biswas" in lead roles, while Misha Showdagor, Joy Chowdhury, Bipasa and Shirin Shila play other pivotal roles. The film is released on 6-Oct-2014 of "Eid Al Adha" in 119 screens. [Hitman] is a powerful story of two siblings, Rana and Shuvo, who are very different from each other. Their father was a police constable but after his death, Shuvo assumes the same duty. Due to his lack of bravery, Joy finds it difficult to fight crime. It is in these times that Rana, who is not a cop, steps up and assists his elder brother. As Shuvo wins many of his brother's battles with crime, the accolades are showered onto Shuvo to an extent that he is promoted as the Superintendent of Police. The turning point in the story arises when Shuvo is caught off guard and brutally thrashed. It now becomes imperative for Rana to build his brothers courage to face his fears and overcome them. This point onwards we see Shuvo stand tall and brave and how, he along with Rana, tackles the villains who are out to hunt them down.